Cheyenne’s Country Thangs is a one stop shop for all your grocery needs. Local honey, organic fruits and vegetables, and even locally made organic body lotions and scrubs can be found at the family owned store. Fresh baked bread with local honey butter, Working Cow homemade ice cream and ripe watermelon can round out any meal. The meat department is well stocked with turkey tenderloins, grass fed ground beef, chicken wings, porterhouse pork chops, and, even more exotic choices such as elk and bison. Seafood lovers can choose from a variety of fresh fish including Black Grouper, Flounder, and Red Snapper. Scallops, Gulf shrimp (peeled and deveined), and even Maine lobster tail can be purchased. In addition to fresh organic produce and an ample variety of meat and seafood, Cheyenne’s is now offering cooked meals. Choose from Memas creamy seafood chowder, chili beef in a bread bowl, Italian Sloppy Joe, gourmet salads and more. Co-op members can call from 11am-3pm to see what’s cooking that day. Special dietary needs can be accommodated. • Saturday, 9:30am to 4pm. 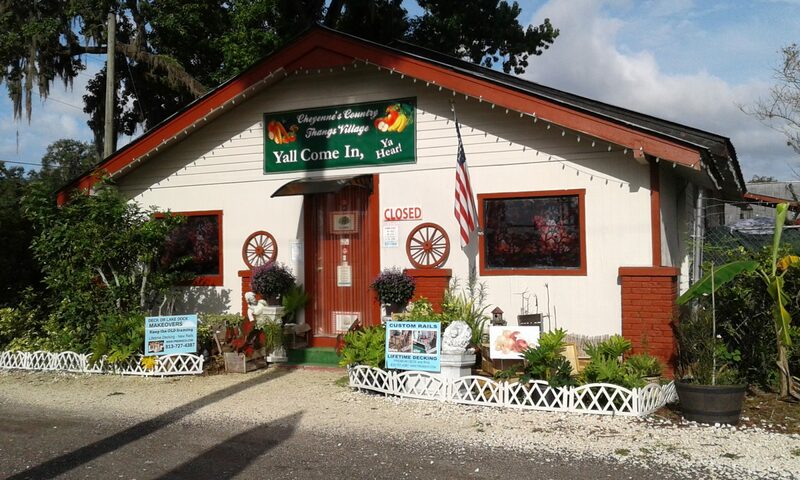 And if all of that is not enough – gardening, cooking, canning, and many other classes are always going on at Cheyenne’s! For more information call (813) 527 6471 or visit their website at http://www.cheyennescountrythangsinc.com/ or find them on Facebook at https://www.facebook.com/cheyennesorganicmarket/ .